Mumineen all over the world celebrated with great joy the auspicious occasion of the 79th Milad of Dai-z-zamaan Syedna Khuzaima Qutbuddin TUS. In Bakersfield, after Zohor/Asar Namaaz and khushi jaman, Darees Majlis was held in Syedna’s presence, with the niyyat that Allah Ta’ala grant Syedna a long life in full health and fulfill the wishes and ummeed of all Mumineen. Qasidas and madehs arazed on occasion of Milad Mubarak were then recited. Shehzada Taher Bhaisaheb did bayaan in which he did zikar of the philosophy of shukur (see Sijill Article 105). Shehzada Taher Bhaisaheb conveyed tehniyat and shukur araz on behalf of all mumineen. He also prayed that as we celebrated the 100th Milad of Syedna Burhanuddin RA, may we celebrate the 100th Milad of his successor, Syedna Qutbuddin. After sharbat and wadhawanu rasam, Syedna delivered bayaan in which he expressed his joy that Mumineen had gathered for the celebration of Milad Mubarak. Syedna also performed Allah Ta’ala’s hamd and shukur for his kulli shifaa’ after dental surgery in the US. 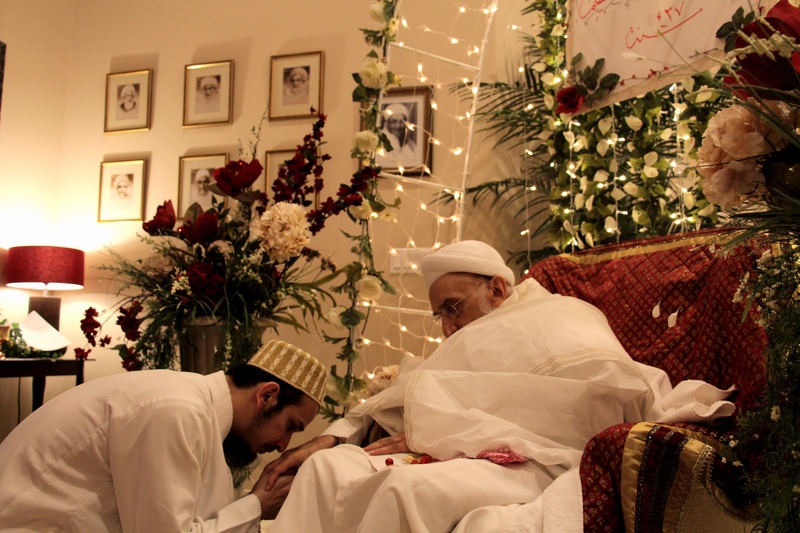 Syedna also showered Mumineen with his priceless doa in the bayaan and recited the shahadat of Imam Husain SA. 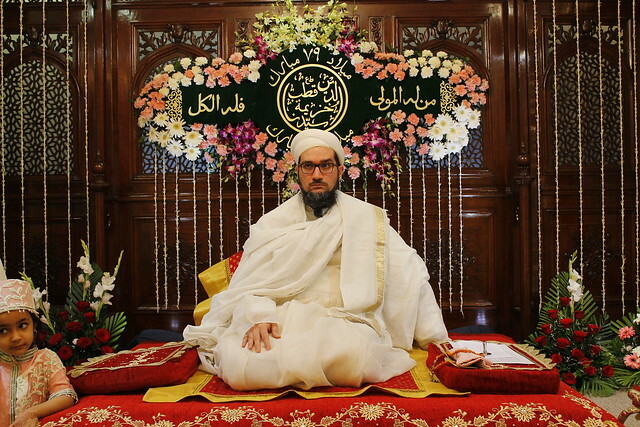 Syedna also prayed for fathe-mubeen in the ongoing case in the Bombay High Court. An audio excerpt of the bayaan is presented here on Fatemidawat.com. After the bayaan, Mumineen who had gathered in Bakersfield from various cities in the US received the sharaf and opportunity of Aqa Maula qadambosi and tehniyat araz. Maulana listened to every mumin’s araz and bestowed doa mubarak with much shafaqat. Mumineen present were overjoyed to receive this ne’mat on this joyous occasion. In Mumbai, there was also an atmosphere of happiness as Mumineen attended Khushi Majlis in Darus Sakina. Shehzada Dr. Abdeali Bhaisaheb delivered a powerful bayaan mubarak that strengthened Mumineen’s faith and aqeeda. Thousands of Mumineen worldwide participated in the Majlis through the internet. Mumineen also gathered in many other towns and cities including Hyderabad, Singapore, Dubai, London and Boston.